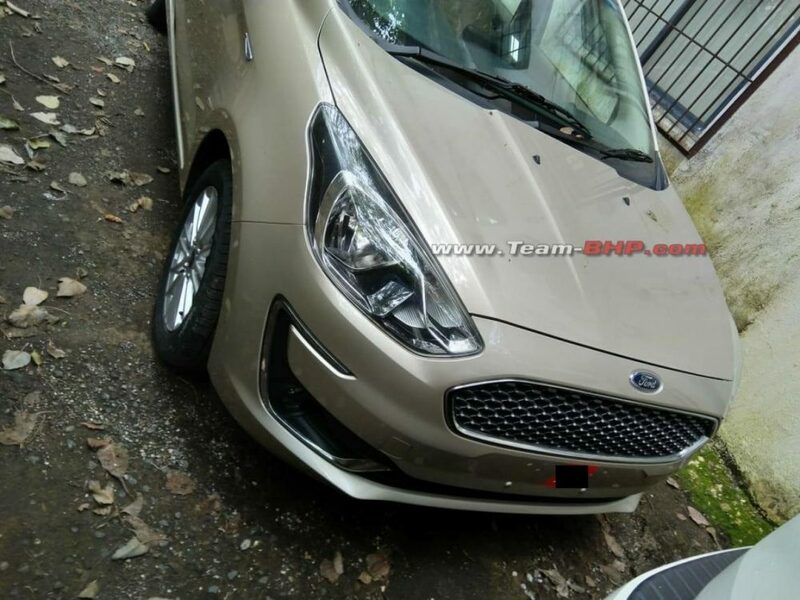 Images of the upcoming 2019 Ford Aspire facelift have surfaced on the internet. There is no camouflage on the car and everything about it has become crystal clear. 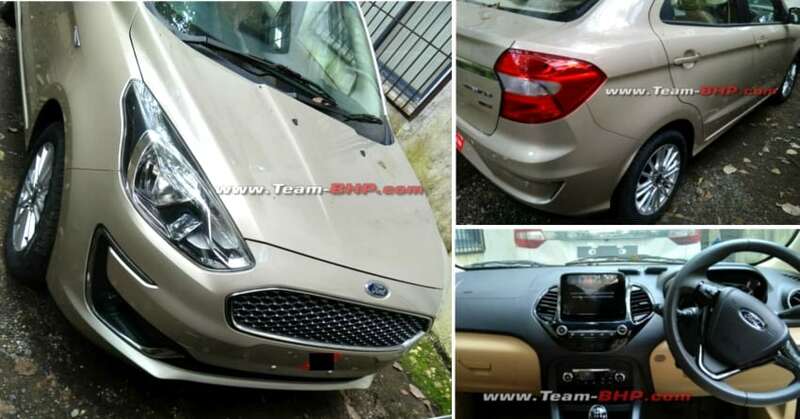 The images are of the Titanium variant of the Ford Aspire facelift, giving us intricate details about its exterior and interior. There are major changes to the front, including a new chrome grille which has revised design of the headlamps around it. The front bumper also gets a new design, featuring newly designed wide air dams and fog lamp housings in C-shaped silver trimmings. The bumper on the rear gets a chrome strip running along the length of the boot lid. The tail lights, however, look quite similar to the outgoing model. There is a reverse parking camera located above the housing for the number plates. On the sides, the major change includes new multi-spoke alloy wheels. These changes are assured for the Titanium variant. For the other variants, we will either have to wait for more leaked images or the official launch. 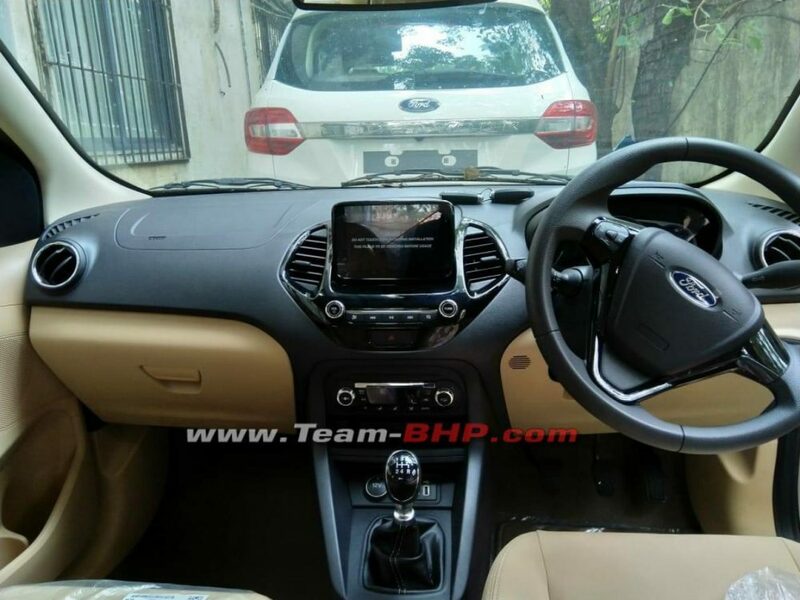 On the inside, there Ford Aspire facelift gets new dual-tone interiors that combine the beige and black colours, with gloss black accents at various places. The dashboard on the Titanium variant of the facelift model has been updated too, with a new center console that has housing for a floating touchscreen infotainment system. The instrument cluster features three pods and the steering wheel has three spokes with support for buttons for multi-function access. 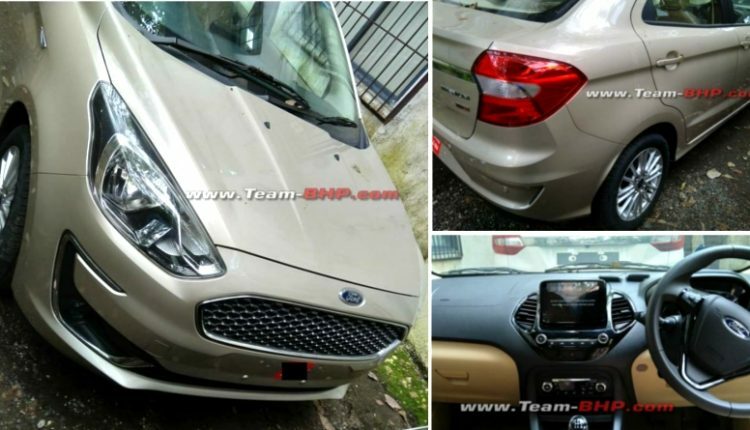 It is expected that Ford will offer two new engine options on the new Aspire facelift, a 1.2-liter 3-cylinder Dragon series petrol engine and a 1.5-liter four-cylinder diesel engine. The customers may have an option between a 5-speed manual and a 6-speed automatic transmission as well. 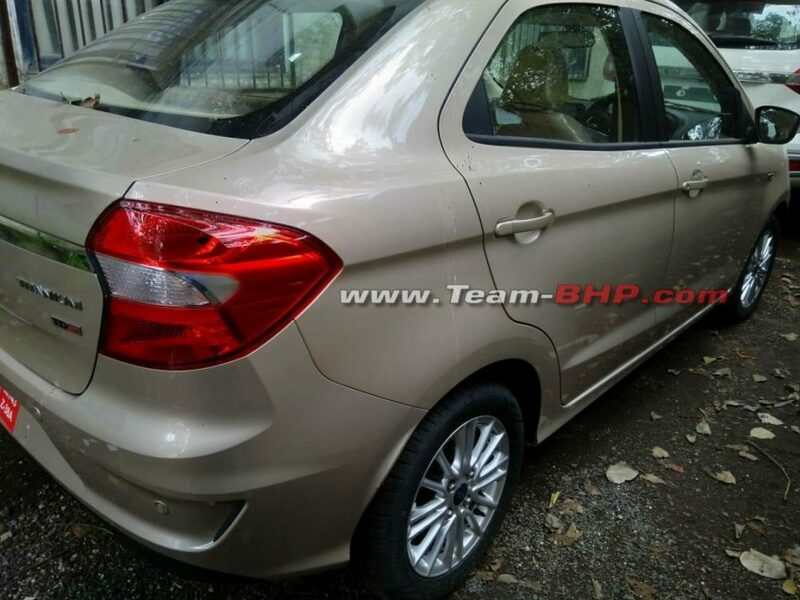 The launch date of the Ford Aspire facelift is rumoured to be October 4, 2018.